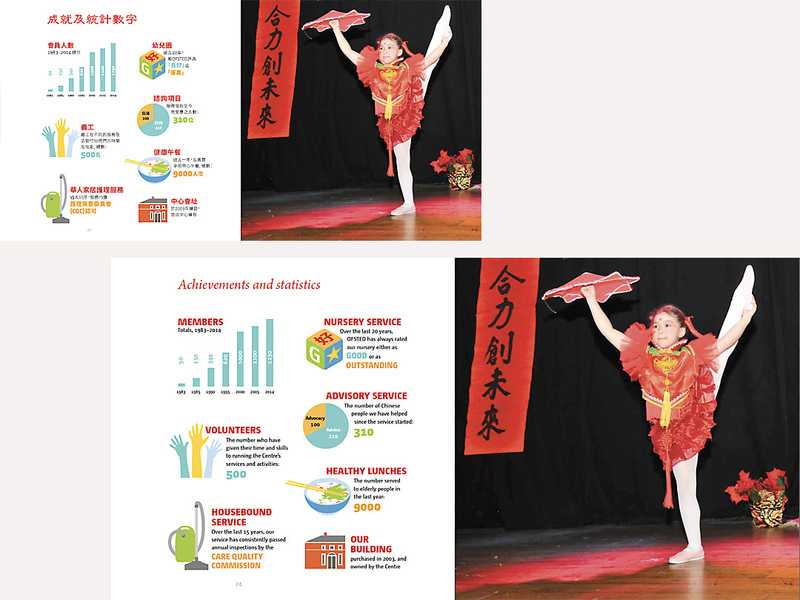 Camden Chinese Community Centre serves the needs of the Chinese community in the London Borough of Camden. 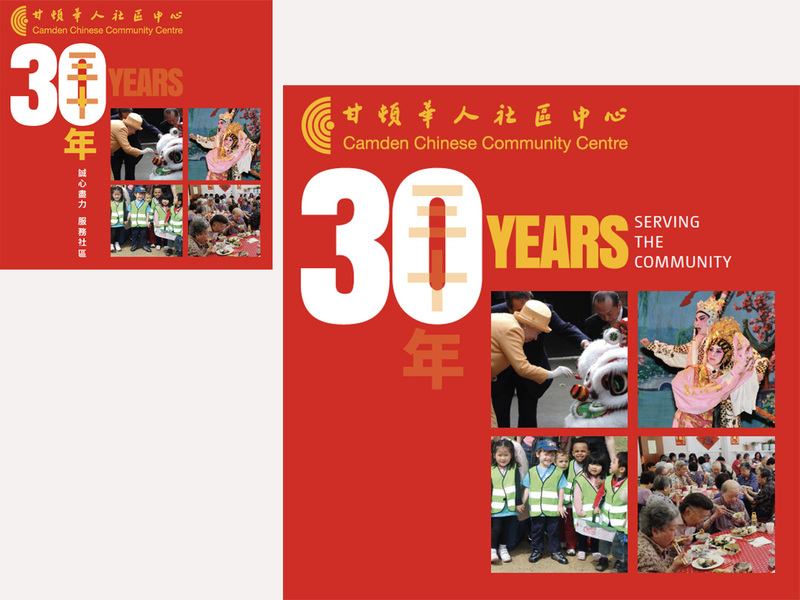 The brief was to design an illustrated bilingual English/Chinese booklet commemorating the Centre’s 30 years of operation. 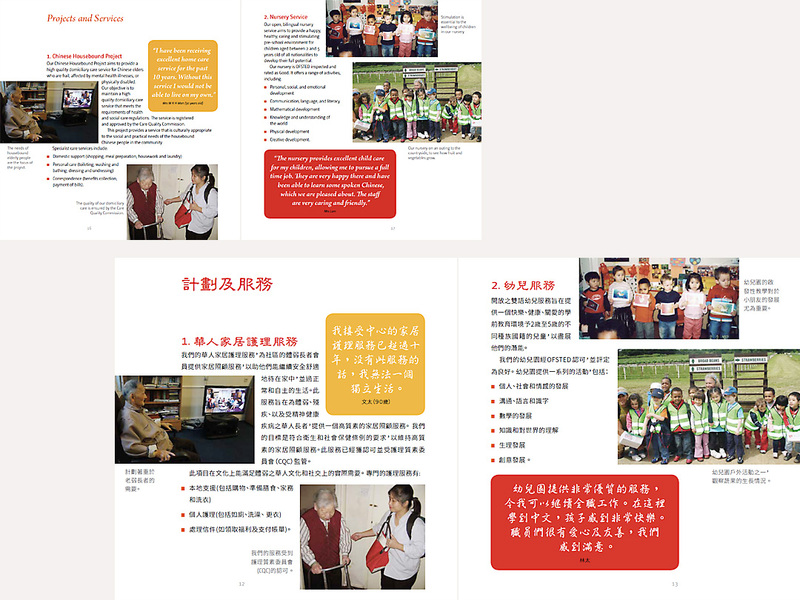 The format adopted was a ‘twist-and-turn’ booklet, in which the English content would be read from one end, and the Chinese from the other with the booklet flipped 180 degrees. 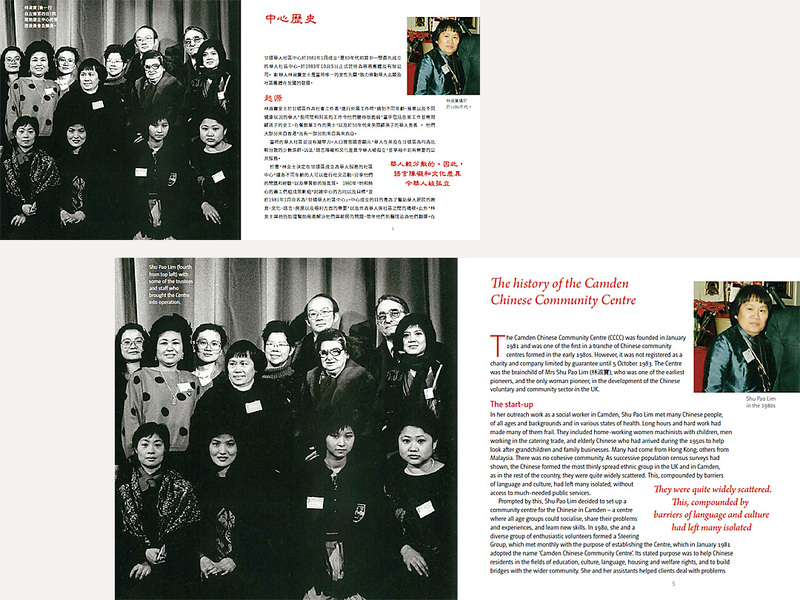 The content, layout and style was required to match as closely as possible in the two languages. The brief also required the creation of a bilingual statistical infographic.